As long as you are alive, your body will constantly metabolize organic molecules and produce waste products. If you are unable to get rid of metabolic waste products, they will accumulate to toxic levels and poison your body. The urinary system is very important because it performs the essential function of getting rid of these metabolic wastes. 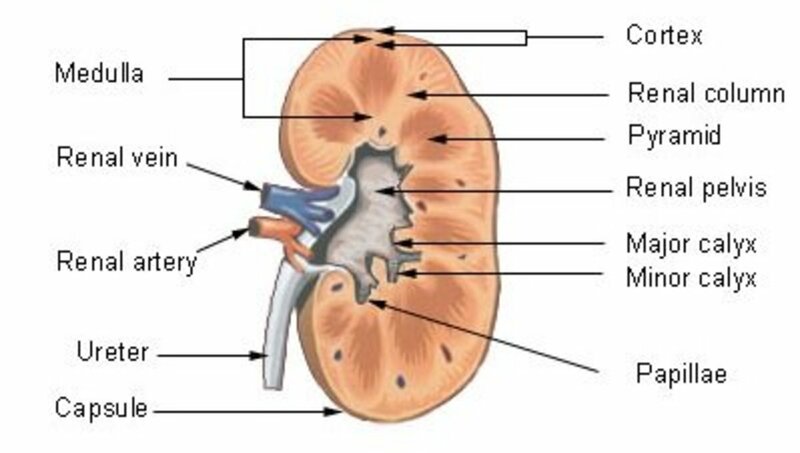 The main structures that make up the urinary system are two kidneys (contains nephrons), two ureters, one bladder, one urethra, arteries and veins. 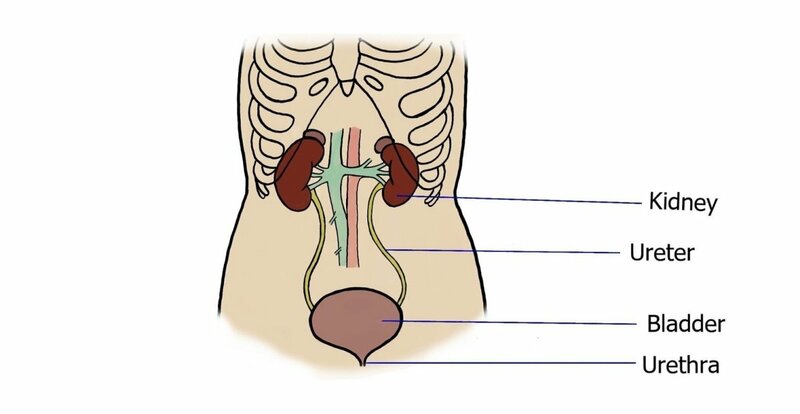 The ureter connects the kidney to the bladder. The bladder is storage for urine. Urine is excreted to the outside of the body through the urethra. The kidneys are two bean-shaped organs located outside the peritoneum at the posterior of the upper abdomen. The kidneys are located one on each side of the vertebral column and are protected by the ribs and a layer of fat. The renal artery, renal vein and ureter connect to the kidney at the indented media border called the hilus. Plays a major role in regulating blood volume because it controls the amount of water to be excreted and the amount of water to be reabsorbed. Regulates electrolytes in the blood by controlling the secretion and reabsorption of sodium and potassium ions. Regulates the pH of the blood by controlling the secretion and reabsorption of hydrogen ions. 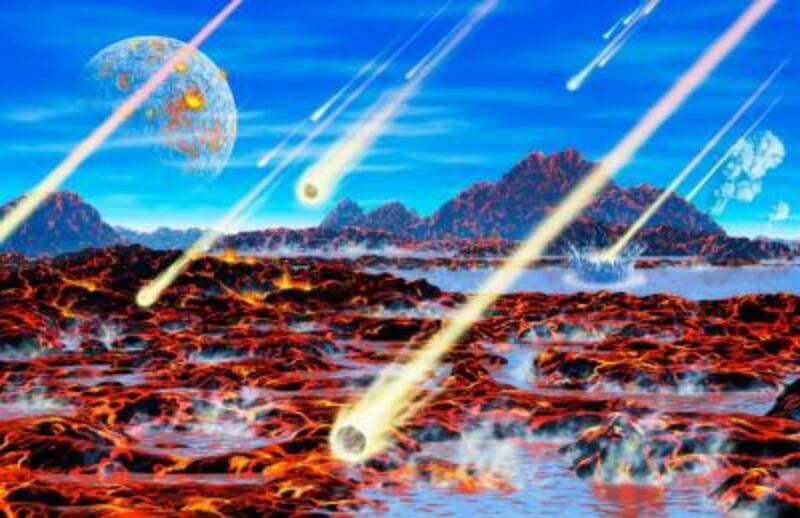 When more hydrogen ions are excreted from the blood, it renders the blood less acidic (more alkaline). But if more hydrogen ions are retained in the blood, this renders the blood more acidic (less alkaline). Regulates blood pressure by regulating to amount of water excreted and the amount of water reabsorbed back into the blood. When the kidneys excrete less water and reabsorb more water, the blood volume will increase. An increase blood volume will lead to an increase blood pressure. On the other hand if the kidneys excrete more water and reabsorb less water, the blood volume will reduce. This will lead to reduced blood pressure. Plays a role in the regulation of red blood cell production. When the number of red blood cells decreases, the level of oxygen in the blood will also decrease. This causes the kidney to secrete a substance called erythropoietin. Erythropoietin travels to the bone marrow and causes it to produce more red blood cells. When enough red blood cells have been produced, this process is shut down via a negative feedback mechanism. There are more than a million nephrons packed in the renal cortex of the kidney. The nephron is made up of the glomerulus and a system of tubes. The glomerulus is a network of intertwined capillaries mass. 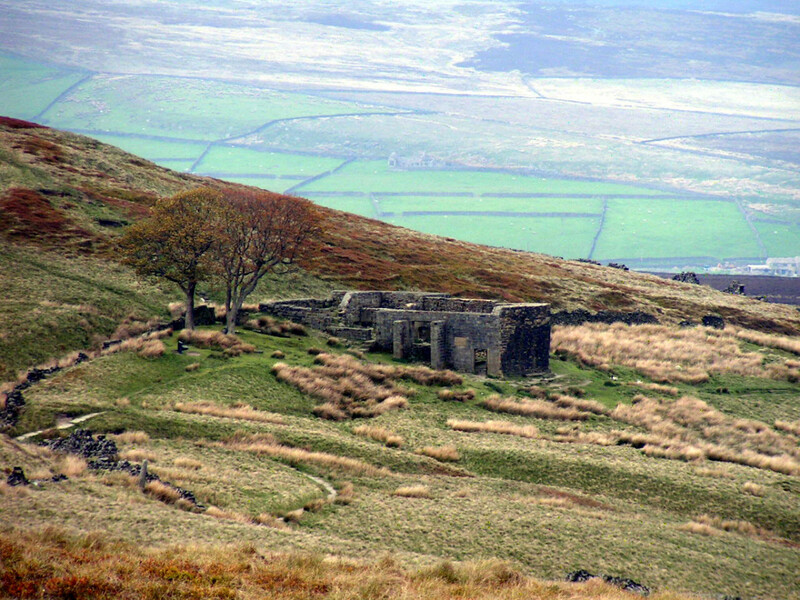 It is enclosed in a cup-shaped structure called the bowman’s capsule. 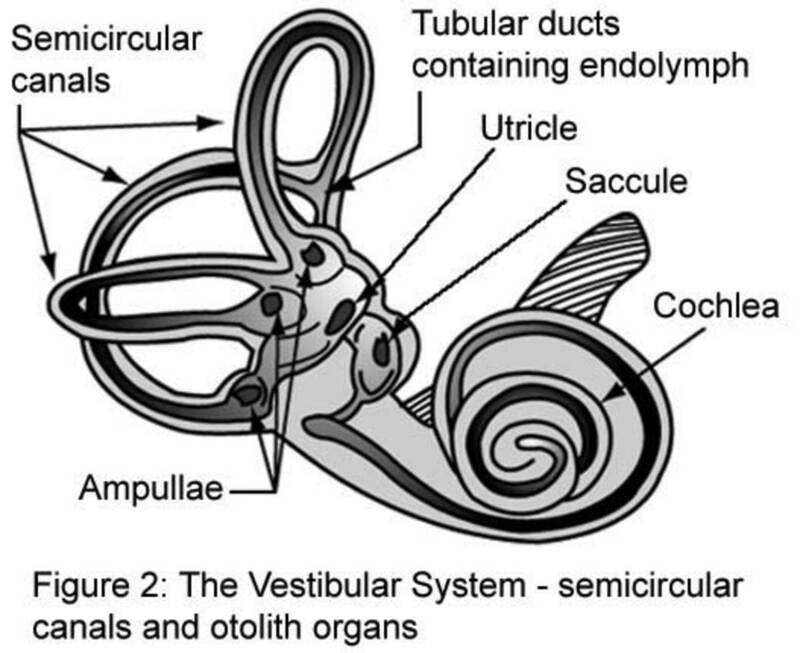 The space between the bowman’s capsule and the glomerulus is called the bowman’s space. 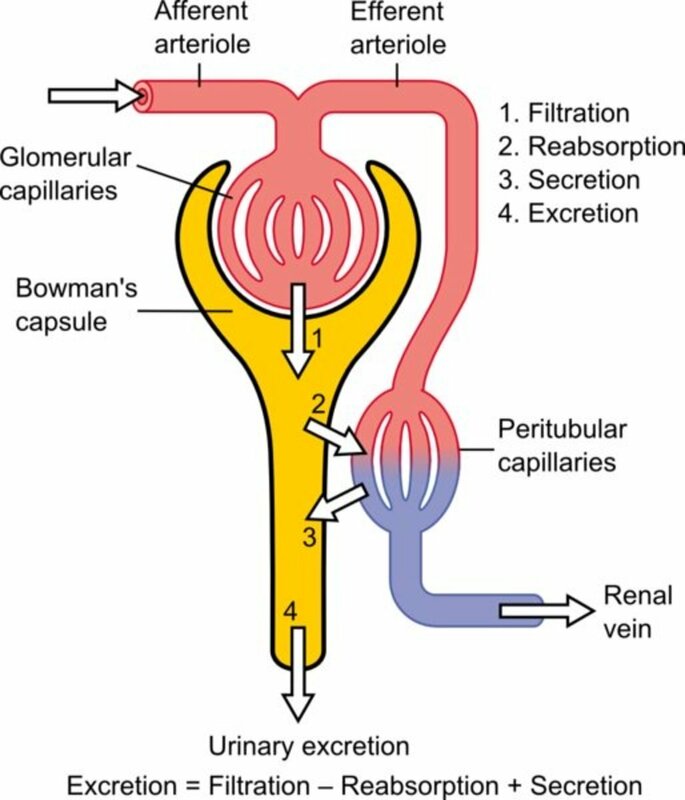 Fluid is filtered from the capillaries and the filtrate is collected into the bowman’s space through the glomerular filtration membrane. The fluid that is filtered is known as filtrate. The glomerular filtration membrane allows only elements that are small enough to pass through. The filtrate then moves through the system of tubes where elements are added (secretion from the blood) or removed (reabsorption back into the blood). Collecting duct: regulates water and sodium reabsorption. The nephron is the functional unit of the kidney. It does the job of the urinary system. The primary function of the nephron is to remove waste products from the body before they build up to toxic levels. The nephron does its job of getting rid of metabolic wastes through filtration and secretion. Useful substances are reabsorbed back into the blood. Blood enters the glomerulus via the afferent arteriole (branches from the renal artery), and leaves via the efferent arteriole. The efferent arteriole is narrower than the afferent arteriole which helps in building up a hydrostatic pressure. The flow of blood in the glomerulus creates hydrostatic pressure in the glomerulus which forces molecules through the glomerular filtration membrane. This process is called filtration. 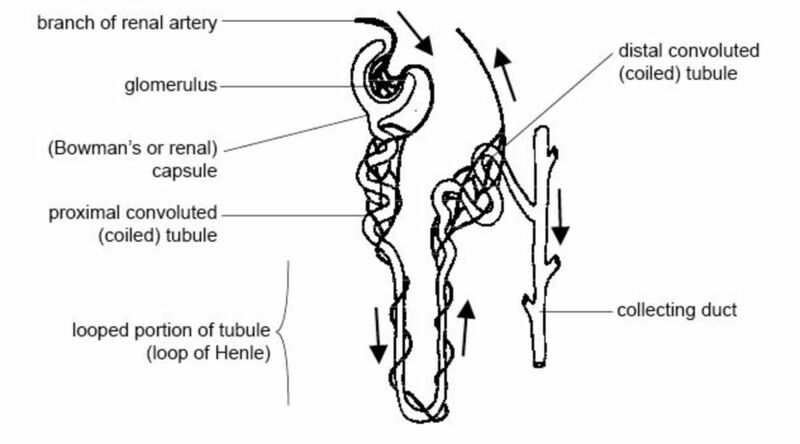 Capillary beds surround the loop of henle, the proximal and distal convoluted tubules. As the filtrate flows through the nephron, elements of the blood get added to or removed from the nephron. Generally, more elements get added into the nephron to be excreted then they get out of the nephron. The movement of elements from the nephron back into the blood is known as reabsorption while the movement of elements from the blood into the nephron is known as secretion. Normal filtrate contains of water, glucose, amino acids, urea, creatinine, and solutes such as sodium chloride, calcium, potassium and bicarbonate ions. Toxins and drugs may also be present. Proteins or red blood cells are not present in the filtrate because they are too large to pass through the glomerular filtration membrane. If these large molecules are present in the filtrate, it is an indication of a problem in the filtration process. Potassium ion, sodium chloride, calcium ion, amino acids, glucose, bicarbonate ion and water are reabsorbed back into the blood stream. Any filtered amino acids and glucose are also reabsorbed back into the blood stream. Hydrogen ions, uric acid and drugs are secreted from the blood into the proximal convoluted tubule. Uric acid and drugs are not filtered. They are excreted by secretion into the system of tubes at the proximal convoluted tubule. The descending limb of the loop of henle is highly permeable to water. Water is reabsorbed here by osmosis. The ascending limb is not water permeable but reabsorbs sodium chloride and calcium ion. Filtrate at the loop of henle has a high concentration of metabolic waste products such as urea, uric acid and creatinine. By the time the filtrate reaches the loop of henle, all the nutrients and substances that the body needs would have already been reabsorbed. Sodium chloride, calcium, bicarbonate ions, hydrogen ions and water are reabsorbed from the distal convoluted tubule into the blood stream. 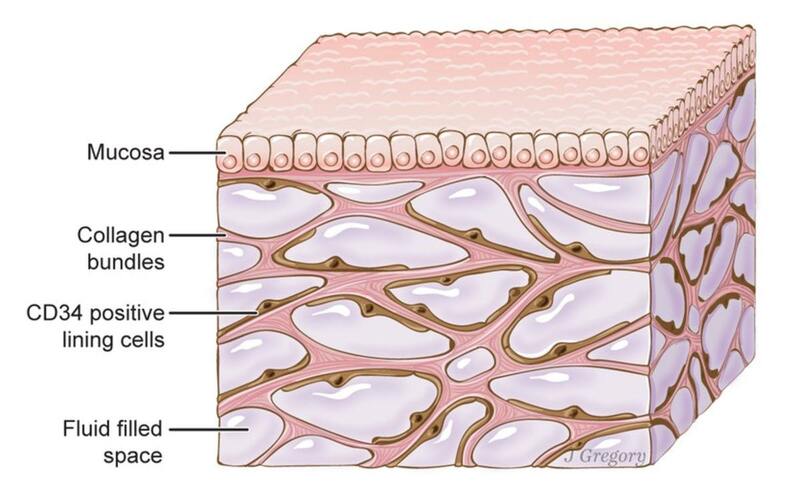 Hydrogen and potassium ions are secreted from the blood into the distal convoluted tubule. The nephron controls water by movement of sodium chloride in and out of the filtrate and the water will follow sodium depending on the osmotic gradient. Water will move from where there is a lesser concentration of sodium chloride to where there is a higher concentration of sodium chloride. Sodium chloride, calcium and water are reabsorbed from the collecting duct back into the blood stream. Components of urine are water, sodium chloride, calcium, potassium, bicarbonate, creatinine and urea. Creatinine is neither reabsorbed from nor secreted into nephron after filtration. For this reason, creatinine is used as a marker for glomerular filtration. A high blood creatinine level will indicate a problem in glomerular filtration in the nephron. * Reabsorbed 100% back into the blood stream. ** Creatinine is neither reabsorbed nor secreted after filtration. # The majority (99%) of filtered calcium is reabsorbed. But when in excess, more calcium will be excreted in urine. There are two main hormones that regulate the rate of excretion of water. The first hormone is aldosterone which acts on the collecting duct and causes the body to retain more water. Blood pressure increases when the body retains more water. This system is triggered when there is low blood pressure or low sodium ion concentration in the blood. Aldosterone is part of the renin-angiotensin aldosterone system (RAAS). 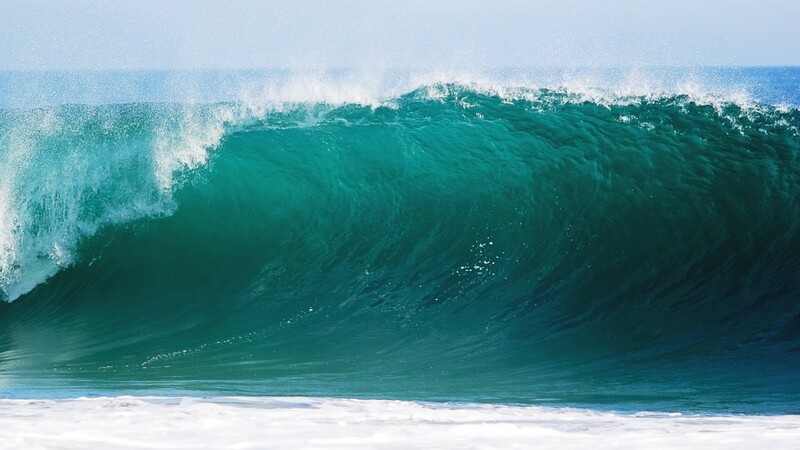 The second hormone is antidiuretic hormone (ADH) which causes increase water reabsorption at the collecting duct by increasing the water permeability of the collecting ducts. Water then moves back into the blood by osmosis. More ADH is secreted when the body needs to retain more water and this will lead to a concentrated urine. nice work, easy to understand. Thanks a lot for reminding me of my biology teacher. Very easy to understand...GOOD JOB! 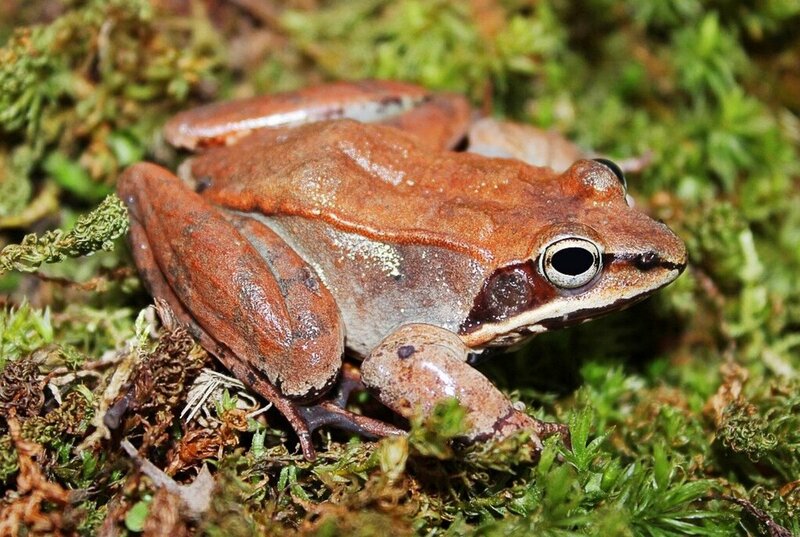 Purnasrinivas, thanks for stopping by and leaving a comment.